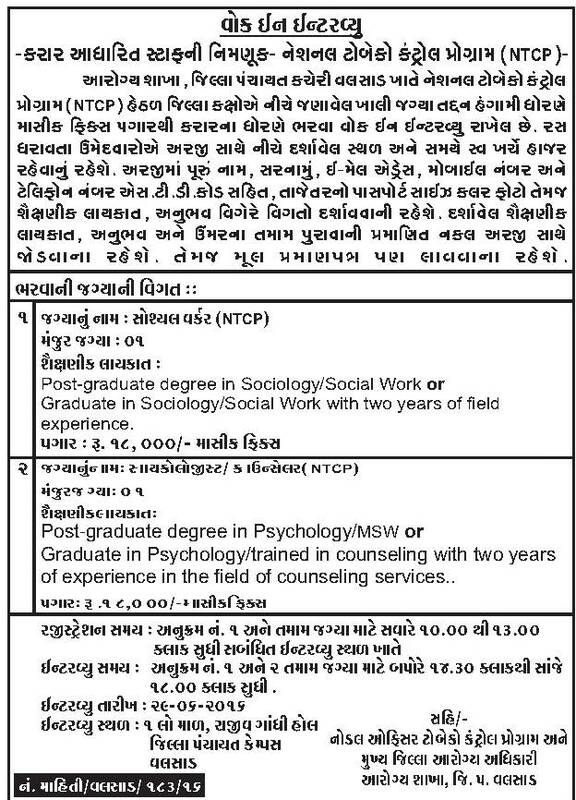 NTCP Valsad Invites application for the below mentioned posts.NTCP Valsad Recruitment for Various Posts 2016 listed below . Eduacational Qualification:Post-graduate degree in psychology / MSW or Graduate in Psychology / Trained in Counselling with two years of experience in the field of counselling services. Date of Interview:29-06-2016Time of Interview:02:30 p.m to 06:00 p.m.